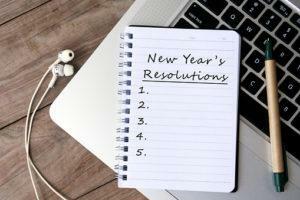 The turn into a new year gives plenty of people time to reflect back on the goals they accomplished in the previous year and to outline a plan for the future. Even if you have not yet established your new year resolutions or forgot to include financial and planning considerations, there’s still plenty of time to ensure that estate planning is part of your overall schedule. The beginning of a new year is an appropriate time to revisit your estate plan. Sitting down with a knowledgeable estate planning lawyer gives you the chance to identify whether or not your current plan was affected by 2018 tax law changes. You might also wish to update your beneficiaries for your retirement assets and life insurance policies. After any major life change and at least once every 3 to 5 years, you should sit down with an estate planning attorney in Pasadena to talk about whether or not your documents are still helping you to accomplish your goal. Updating or developing your will if you have not yet already can minimize the pain and problems your loved ones experience. A trust or a will is important because it helps to ensure how certain assets are directed upon your death and avoids the costly, lengthy and frustrating probate process. After your will has been developed with the help of your estate planning lawyer, you should be sure to sign it and store it in a safe location. This is the only way to protect your will and verify that the necessary people have access to this important document should you pass away unexpectedly.